TheBlueGuerilla: Zionist Federation in bid to label Iranian Revolutionary Guards a Terror Group. Zionist Federation in bid to label Iranian Revolutionary Guards a Terror Group. Stephen Hoffman is Campaigns Officer for the Zionist Federation and is a hardened Conservative Future activist. He campaigns for democracy and peace in the Middle East. The Hoff writes for tbg today about the Zionist Federation's new campaign to list the Iranian Revolutionary Guards (IRG) a terrorist organisation. "Unlike Hamas, a group that the Iranian Revolutionary Guards has helped train, support and fund, the IRG is not proscribed as a terrorist organisation by the EU or the UK. 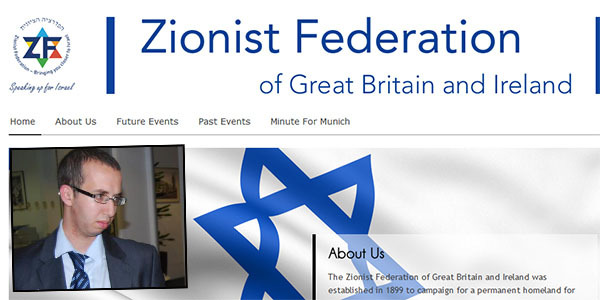 "This is unacceptable and therefore Britain’s Zionist Federation has a launched campaign today for The IRG to be listed as a terrorist organisation by the UK and EU. We are calling on the EU and UK to recognise the threat the IRG poses to international security and deal with it accordingly, through listing it as a terrorist group. "By doing so, it would weaken significantly its work against Israel, Jewish and non-Jewish people. Furthermore, it would help choke the funding to this organisation, as it would allow for the freezing of the accounts of IRG members and businesses, as well as the IRG group more generally. "Through the Quds Force, which is the IRG’s special operations unit made up of around 12,000 people, it has backed terrorist groups in Iraq, Lebanon, Afghanistan and the Palestinian territories, as well as engaged in terrorist activities in Asia, America and Europe. By listing the Iranian Revolutionary Guards as a terrorist group, the UK and the EU would be taking a stand against international terrorism. "Further information about our campaign can be found here and if you agree with us that the EU and UK should designate the IRG as a terror group, please sign our petition here." Don't mess with the Hoff.